Pixar's Incredibles 2 premiers nationwide today, and the hype for it has been pretty ridiculous. Those are just a few gems I found on the surface of Twitter. There are many more. I'm sure tons of Texans are just as hyped, but if Google Trends data is to be believed, the original Incredibles film is only the favorite Pixar movie in one state: Oklahoma. It did end up in a 7-way tie with A Bug’s Life, Brave, Cars 3, Inside Out, Monsters Inc., and Up out in Utah. 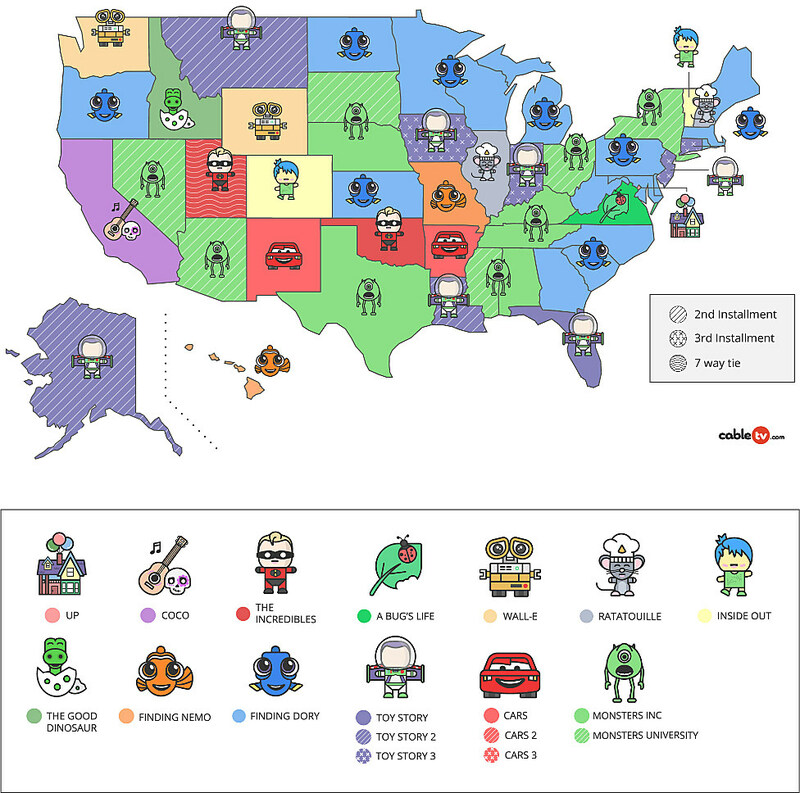 No, it just so happens that Texas' favorite Pixar film is my personal favorite - Monsters Inc.
CableTV.com's Rachel Oaks recently analyzed Google Trends data to determine each state's most searched-for Pixar movie, and the monsters smashed in Texas. In fact, there's a lot of green on the map. What do you think of the findings? Did your favorite top the list in your home state, or were you robbed? Let us know in the comments!